145 years delivering outstanding medical education. Challenge yourself to become the best doctor you can with a rewarding degree at one of the country’s largest and most innovative medical schools. Get clinical experience from year one and develop the skills you need for a successful career in medicine. We are the largest medical school in the UK but have some of the smallest class sizes to ensure you get the support you need throughout your degree. You’ll learn using a range of methods; from hands on practicals to small group work. Follow first year medical student Masumah through a typical week in her studies. Manchester is one of the only medical schools in the UK to offer whole body dissection. 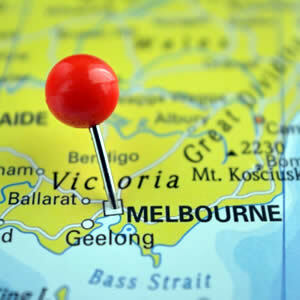 You’ll get experience in a range of clinical and community environments. From day one of your course, you’ll begin to apply your learning to real-life situations, preparing you for the journey from classroom to clinic. After one month, Tahmeena has her first patient encounter on her GP placement. George recaps his first year based at Salford Royal Hospital. 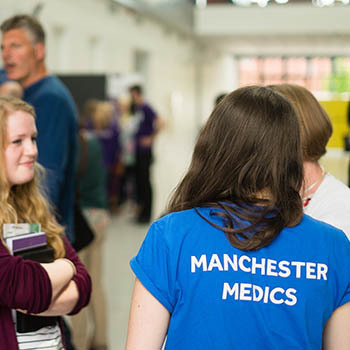 Studying medicine at Manchester can open the door to a world of opportunities; from discovering your passion to learning more about research, and possibly even travelling abroad. "The option to study in Europe drew me to Medicine at Manchester. Now I am about to move to Paris for my first job as a junior doctor." We understand that there's more to being a medic than just studying. There are plenty of social activities to get involved in and we offer a range of academic and peer-mentoring support throughout your degree. Prakhar Srivastava managed to secure a couple of overseas placements as part of his elective year. Manchester medics are highly sought after by employers. "The course has equipped me with the skills to approach difficult scenarios and difficult situations in my day job." If you’re ready to apply to medicine at Manchester, here’s what you need to know. Our students share what they wish they had known when they were applying for medicine. "I was drawn to Manchester because it has good resources and lots of opportunities to do research. There are many hospitals and a large patient population in contrast to a lot of medical schools, which are much smaller and less specialist." Develop specialist clinical skills with our master’s courses in medicine. 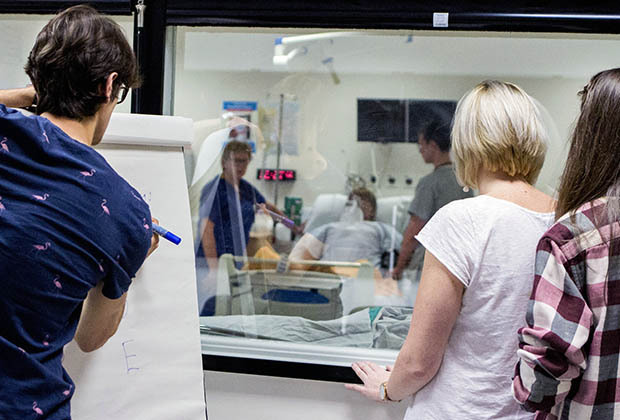 Benefit from learning in a world-class research environment with close links to local NHS hospitals, ensuring you develop the knowledge and practical skills you need to enhance your career in medicine. Manchester is the ideal place to start or continue your biomedical research career. Access some of the best research facilities in the world right here on campus and work within a supportive and vibrant research community with strong links to local NHS trusts and industry. You can also see a full list of the Faculty's postgraduate research subjects or search for a specific project.